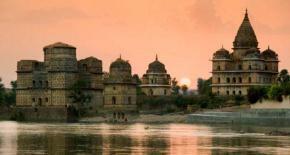 Located at a distance of 16 km from Jhansi, Orchha rises out of the hills and the greens surrounding it. 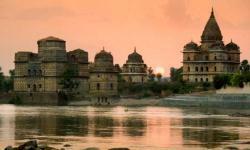 The historical monuments of Orchha still retain their pristine charm and narrate stories of war and peace, of love and destruction. Orcha’s grandeur has been captured in stoneand frozen in time; a rich legacy to the ages. 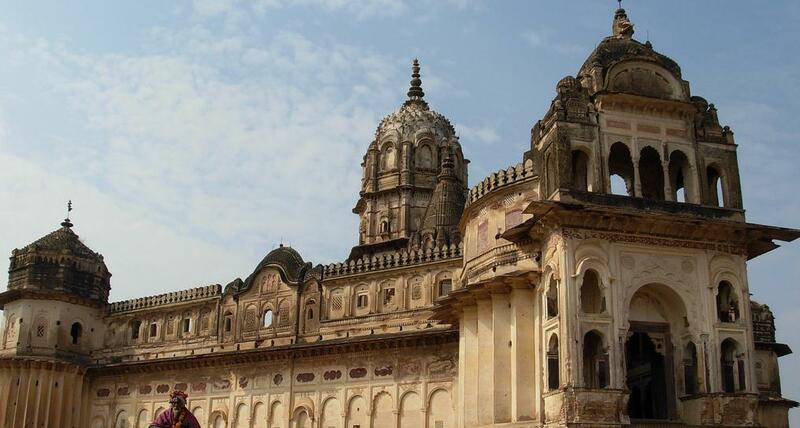 On this medieval city, the hand of time has rested lightly and the palaces and temples built by its Bundela rulers in the 16th and 17th centuries retain much of their pristine perfection. 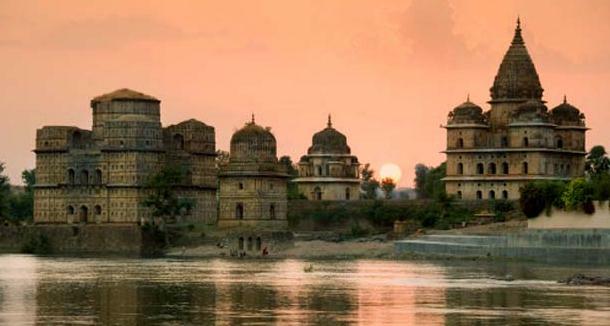 Orcha was founded in 16th century by the Bundela Rajput chieftain Rudra Pratap who chose this stretch of land along Betwa river as an ideal site for his capital. 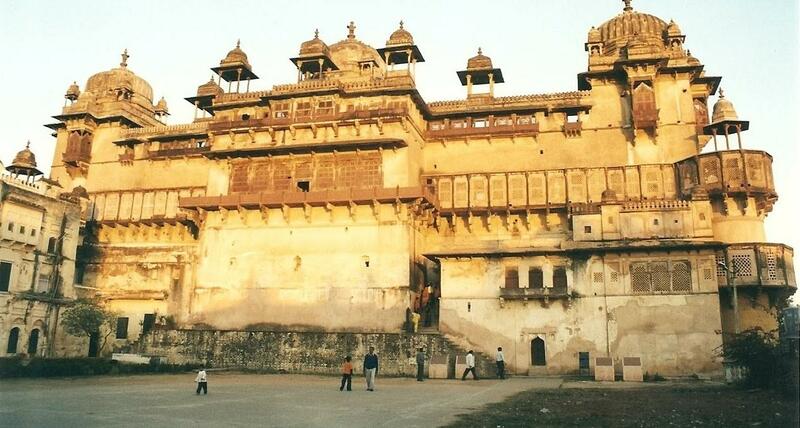 Of the succeeding rulers, the most notable was Raja Bir Singh who built the exquisite Jehangir Mahal, a tiered palace crowned with graceful Chhatries. From here you can have the spectacular view of soaring temple spires and cenotaphs. 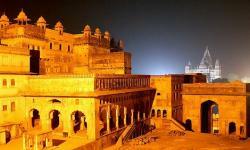 We will see the Fort Complex in Orcha which houses three beautiful palaces set in an open quadrangle. 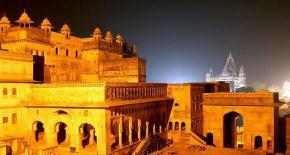 Jehangir Mahal built by Raja Bir Singh in 17th century to commemorate the visit of Emperor Jehangir. Its strong lines are counterbalanced by delicate Chhatries and trellis work, the whole conveying an effect of extraordinary richness. 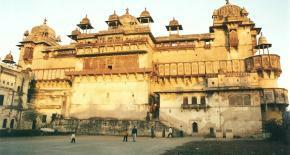 Raj Mahal palace was built by Madhukar Shah, the deeply religious predecessor of Raja Bir Singh Ju Deo. The plain exteriors are crowned by chhatries, and give way to interiors with exquisite murals, boldly colorful, on a variety of religious themes. The poetess and musician, Rai Praveen was the beautiful paramour of Raja Indramani (1672-76), and was sent to Delhi on the orders of Emperor Akbar, who was captivated by her. She so impressed the Emperor with her love for Indramani that he sent her back to Orcha. The Rai Praveen Mahal palace built for her is a low two storied brick structure, designed to match the height of the trees in the surroundings. Beautifully landscaped gardens of Anand Mahal, with the octagonal flower beds and elaborate water supply system. Skillfully carved niches allow light into the Mahal which has a main hall and smaller chambers.  The nearest airport is Bhopal. Bhopal is an important domestic airport in central India, which is served by several airlines. Regular flights connect Bhopal to key Indian cities like: Delhi, Mumbai and so on. The nearest Railhead from Sanchi is also located at Bhopal which is well to other parts of the country. Sanchi is located close to important cities in Madhya Pradesh. A good network of roads connects Sanchi to Bhopal (46kms), Vidisha (10kms). 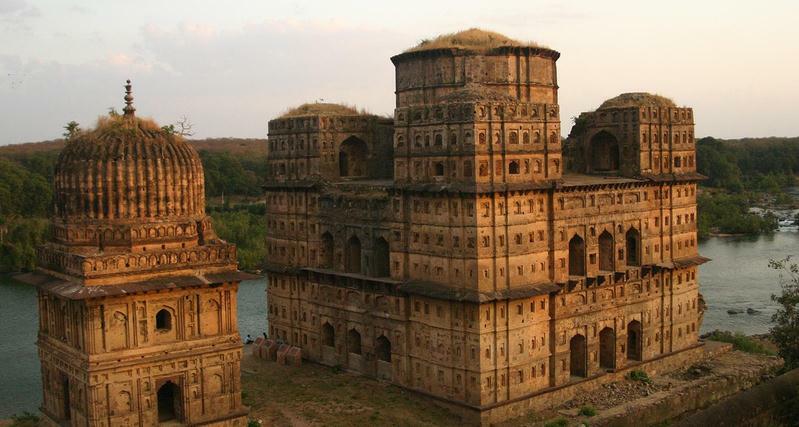 Was built upon a massive stone platform and reached by a steep flight of steps, the temple was specially constructed to enshrine the image of Ram which, however, remained in the Ram Raja Temple. Lotus emblems and symbols of religious importance provide the delicate exterior ornamentation. A palace-turned-temple has a charming legend attached to it. King Madhukar Shah brought an idol of Lord Rama from Ayodhya to his capital following the dream visitation of God Ram to be installed later in a temple (now known as Chaturbhuj Temple). When the idol proved impossible to move, the king recalled, too late, the deity's edict that the image would remain in the place where it was first installed. Today with its soaring spires and palatial structure, the temple is surely one of the most unusual in India. 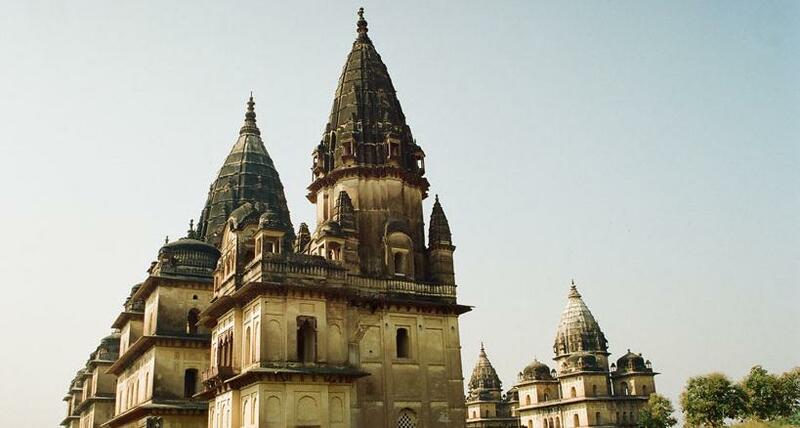 It is also the only temple in India where Ram is worshipped as a king. is laid out as a formal garden, testifying to the refined aesthetic qualities of Bundelas. A central row of fountains culminates into an eight-pillared palace-pavilion. A subterranean structure below used to be the summer retreat of Orcha Kings. An ingenious system of water ventilation connected the underground palace with Chandan Katora a bowl like structure from whose fountains droplets of water filtered through the roof, simulating rain-fall. Hardaul was son of Bir Singh Ju Deo. He died to prove his innocence to his elder brother Jhujhar, who cast doubts on his relationship with his consort. This saintly prince, after his martyrdom was worshipped as a God. Even today, the villages of Bundelkhand region contain platform-like shrines where Hardaul is worshipped. There are fourteen Cenotaphs or Chhatries to the rulers of Orcha, across the Kanchana Ghats of river Betwa.